It's State Fair time here in New York and it's always fun to take a day and wander about all the fair. Here are some pics from Finger Lakes tatter Ginny Weathers from her fair submissons. She got Best In Show ... along with other ribbons! 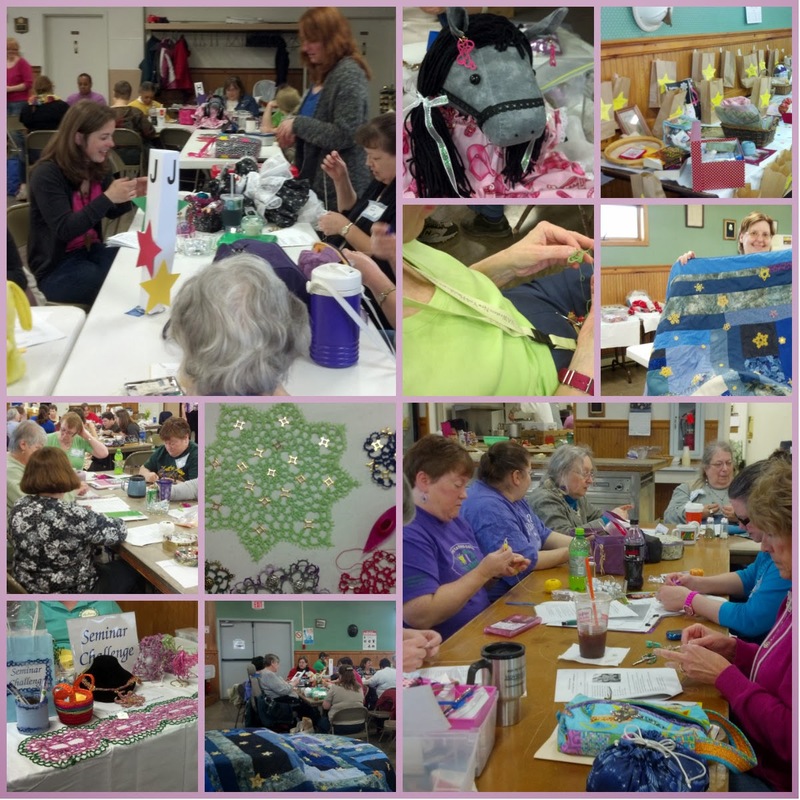 Here are some photos from our 2014 convention and workshops. We had a great time and would like to thank all the people that made the meeting such a wonderful event - thank you all! 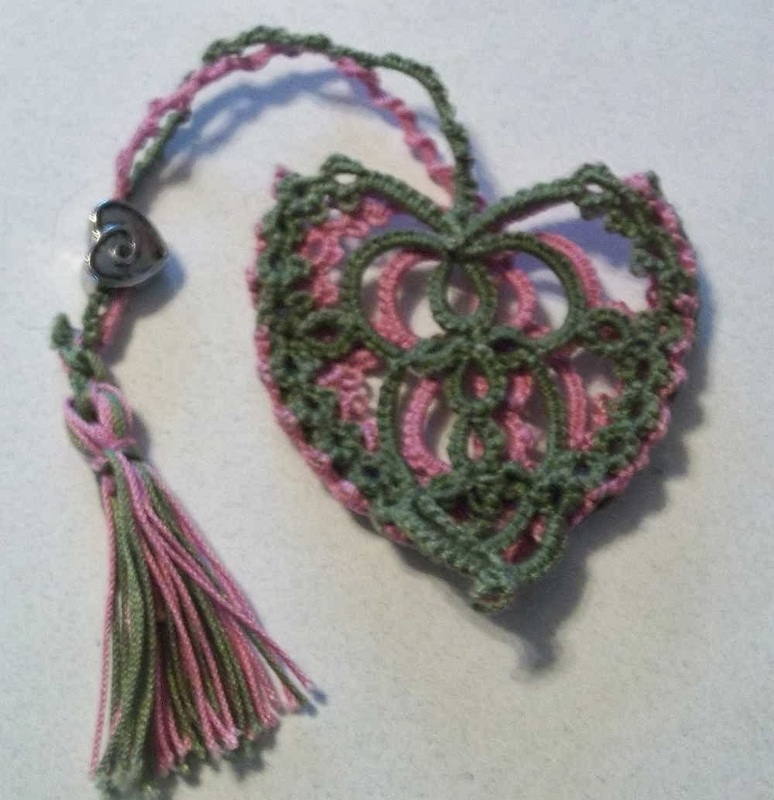 Here are a few photos of workshop projects for the upcoming 2014 Conference (click the tab above for more into and to register) to be held April 4-6. Click on any of the photos for a closer view! This is our auction quilt for the scholarship fund… It’s pretty impressive, we think! 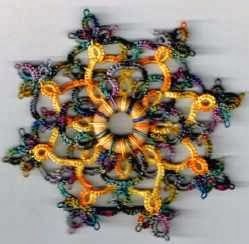 Made by Jennifer Ostrander, machine and hand quilted, it’s got a lot of little tatted fireflies and is simply gorgeous! The quilt winner will be determined in a live auction on Saturday night, but it is possible to bid on it without being present. 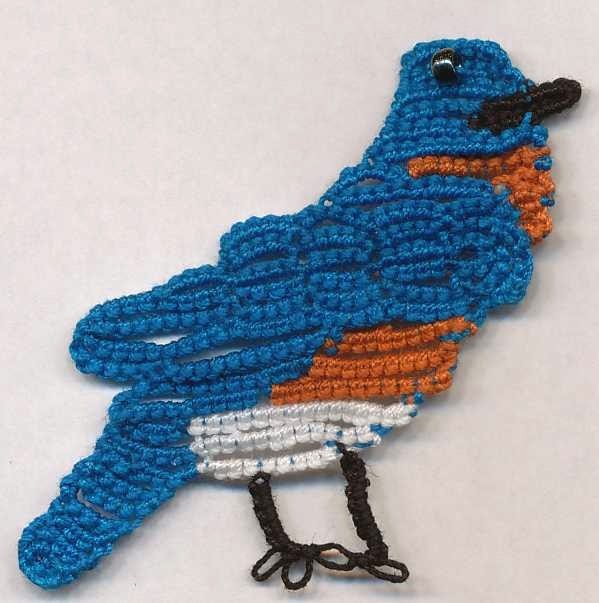 Kay Judt's bluebird of happiness is right on time for Spring! Grrrr! Hooo! Meooow! 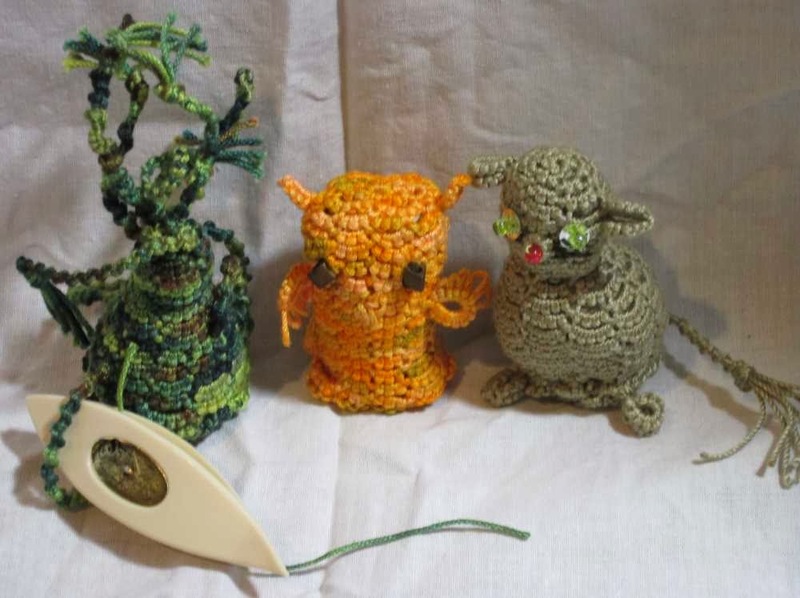 It's Karey Solomon's amigurumi monster, owl and cat. Carolyn Groves' tatted ring. Very regal in purples! Vicki Clarke's Ice Cream Sundae (or Cupcake). Now I'm hungry! 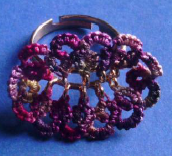 Carolyn Groves' intricate Ornament on Crystal Ring. 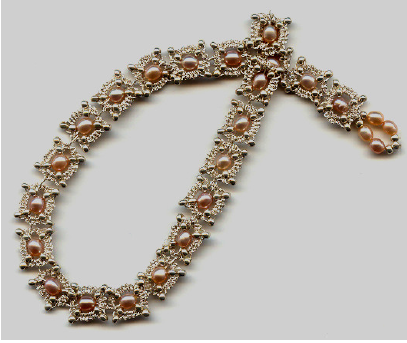 Nina Libin's one shuttle bracelet. Beautiful bling! 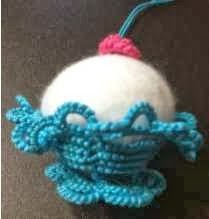 Kay Boniface's amulet bag. Delicate and lovely!